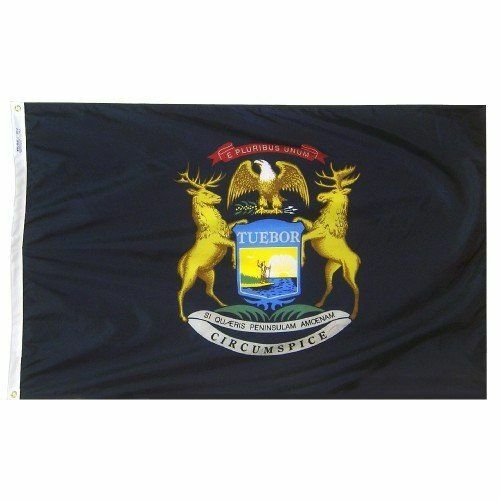 AmericanFlags.com is proud to carry Michigan State Flags in a variety of materials, and styles, in sizes ranging from 4 IN X 6 IN to 12 FT X 18 FT. All of our Michigan flags meet official specifications, are on sale right now and are ready for immediate shipping to your door. 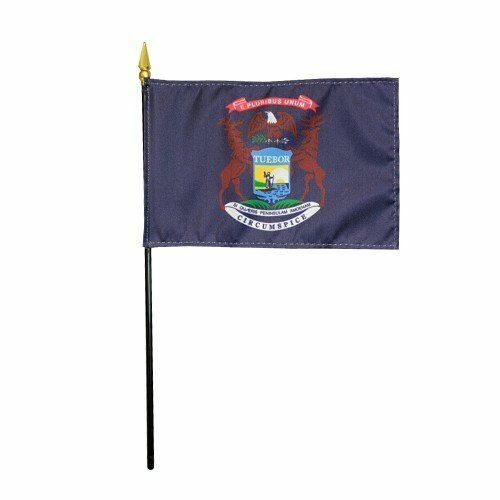 The official flag of Michigan was adopted in 1911 and features the Michigan Coat of Arms against a deep blue background. 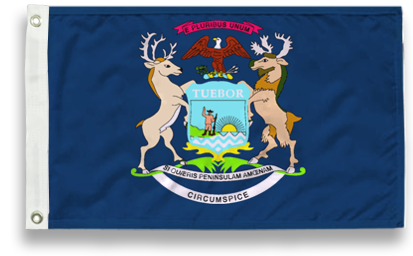 In the center of the flag is a blue shield, flanked by a moose and an elk, symbols of Michigan, and a bald eagle, which represents the United States. 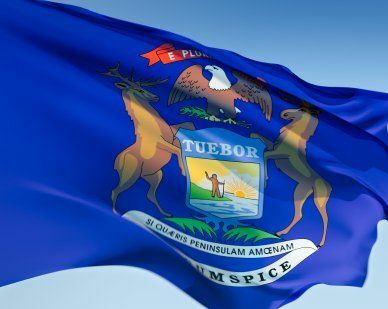 The following three mottos are inscribed on the Coat of Arms: E Pluribus Unum, which translates to "From Many, One," is our nation's motto and is represented by the image of the Bald Eagle. Tuebor, or "I Will Defend," is graphically depicted by the arrows held by the eagle's talons and the gun in the man's left hand. 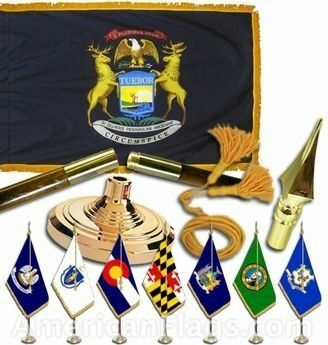 Si Quaeris Peninsulam Amoenam Circumspice, which means, "If you seek an amenable (pleasant) peninsula, look around you," is represented by the warm sun, the man's friendly greeting from the peninsula and the olive branches the Bald Eagle holds.